After reading rave reviews of The Hunger Games Trilogy on practically every book blog which I have subscribed to on my Google Reader, I decided to check it out. 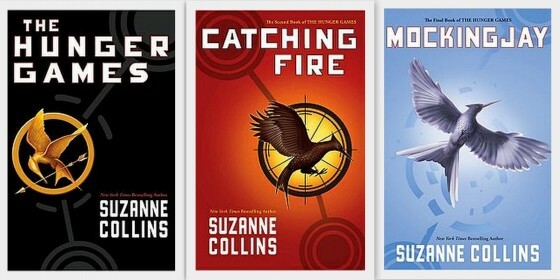 The novels in the trilogy are knownas The Hunger Games, Catching Fire and Mockingjay. This is a science fiction novel set in a dystopia called Panem (previously North America). Panem consists of 12 poor Districts and a very wealthy Capitol from where the central government rules with an iron fist. Every year, the Capitol holds a televised event known as The Hunger Games where two tributes between the ages of 12 and 18 – one boy and one girl – are selected from each District to participate in. The objective of the Games is for the 24 tributes to fight it out and kill each other in an outdoor area known as the Arena until one person remains. The survivor is the winner of the Games and will go home blazing in glory and wealth. When I first read the synopsis about this trilogy, I thought it was a horrible story to be reading. Young adults killing themselves for the pleasure of a nation who watches the event on television..?! Think Amazing Race but with plenty of blood and gore. Nonetheless, I was curious enough to borrow the first book, The Hunger Games, from the library. I figured that if I didn’t like what I was reading, I could just return the book. It would have cost me only $1.55 to reserve it. But. The Hunger Games IS a page turner. I was hooked right from page 1 and found it very difficult to put the book down. It was the same with the second instalment, Catching Fire. I kept wanting to go hide in the bathroom cubicle during working hours to read because I needed to know what was happening next. The protagonists in the trilogy are 16 year-olds Katniss Everdeen and Peeta Mellark. They live in squalid District 12, a coal-rich region of Panem, where boys above the age of 18 are sent to work in the coal mines. Peeta was selected as one of the two tributes of District 12 while Katniss volunteered to take her younger sister’s place. Most of the book vividly describes the wretched lives of the people living in the Districts of Panem, the merry-making and lavish lives of the Capitol, the preparation that the tributes have to undergo for the Games, the obstacles faced by the tributes during the Games and how they fight it out in the Arena. Grotesque? No. Not one bit. Gripping? YES. I found the story very refreshing and thoroughly enjoyable. It is about inequality, survival, love, family, friendships, choices and the power of the human will to live. Now that I am done with The Hunger Games and Catching Fire, I am dying to read the final instalment of the trilogy, Mockingjay. I have been checking my library account everyday to see if the book has arrived in my neighbourhood library for collection.